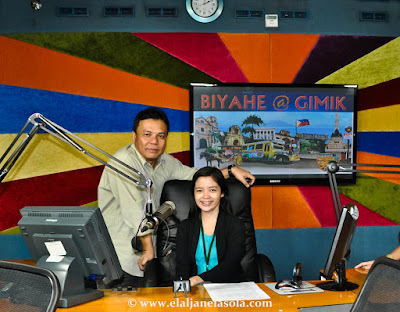 When I arrived at the station last Friday (good thing it was a holiday :3), the first person who noticed me was Tony Cuevas who happens to be the host of Biyahe at Gimik. He thought that I was a student inquiring for internship. He was surprised when I told him I was invited for the said program and accommodated me immediately with Claire (the one who sent the invitation in my FB page). Later, I met and was introduced with Tony's pretty partner, Jamie Fournier. 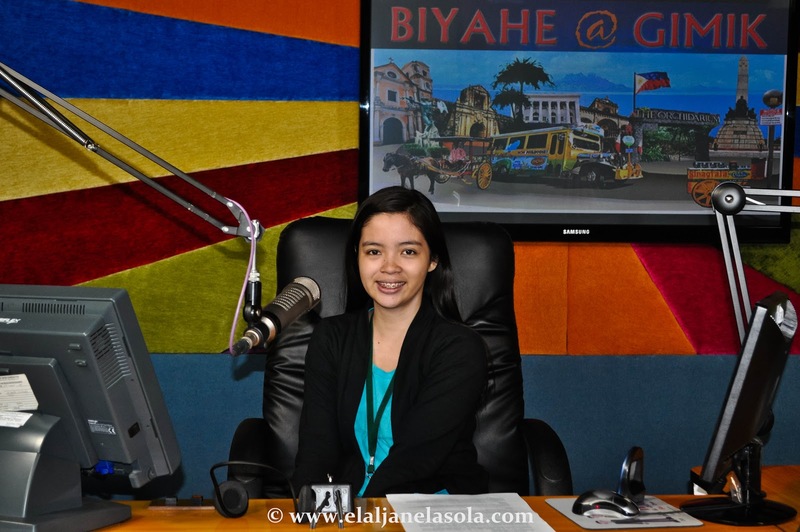 I was first nervous and shy with the first few questions but later on my chatty side just naturally came. What I thought of a difficult question and answer portion came to be a one of the great conversations I’ve had. I didn’t know that I will enjoy my first radio guesting experience that much that I didn’t notice an hour has already passed during the interview! 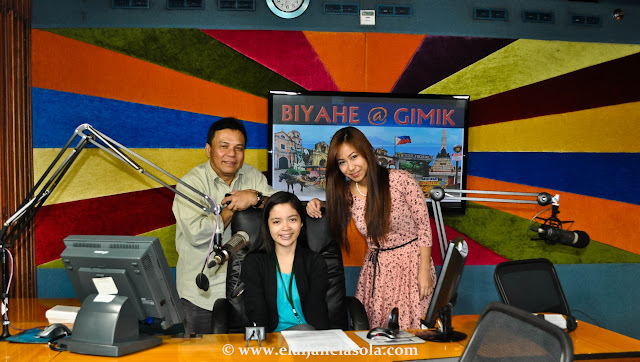 Catch Biyahe at Gimik, a one-hour program aired every Mondays, Wednesdays and Fridays at 1-2pm, hosted by Tony and Jamie on DZAR 1026 Sonshine Radio. Or see it live via www.sonshinetvradyo.com.